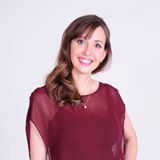 Jewell Siebert will team up with several leading experts from various industries to release the new book, “The Road to Success: Today's Leading Entrepreneurs and Professionals Reveal Their Step-By-Step Systems To Help You Achieve The Health, Wealth and Lifestyle You Deserve” by CelebrityPress®. Harker Heights, TX -- June 29, 2016 – Jewell Siebert, a certified Canfield trainer and life-coach, has joined Jack Canfield, along with a select group of experts and professionals, to co-write the forthcoming book titled, The Road to Success: Today's Leading Entrepreneurs and Professionals Reveal Their Step-By-Step Systems To Help You Achieve The Health, Wealth and Lifestyle You Deserve. Nick Nanton, Esq., along with business partner, JW Dicks, Esq., the leading agents to Celebrity Experts® worldwide, recently signed a publishing deal with Siebert to contribute her expertise to the book, which will be released under their CelebrityPress® imprint. Jewell Siebert is a life coach and Certified Canfield Trainer in The Success Principles. In her coaching practice, Jewell helps people make their lives #BoldlyBetter. She helps them create the life of their dreams by helping them to rediscover their passions, find their ideal spot in their work/life balance and increase their level of happiness in both their personal and professional lives. Jewell believes that life should be savored and she reconnects her clients with their authentic desires in order for them to live lives that they can truly enjoy. Jewell is a graduate of the United States Military Academy and Saint Mary’s University. Prior to launching her coaching business, Jewell served in the United States Army for fourteen years, first as an air defense officer and, later, as an intelligence professional. During her service, she enjoyed extended working vacations at scenic locales in the Republic of Korea, Iraq, Afghanistan, and Texas. These intense experiences fueled her desire for an amazing life for herself and her family, and a passion for helping other women in pursuit of happy, harmonious, and thrilling lives. Jewell’s current project is practicing American Sign Language with her daughter, Amélie.